Companies have ramped up their messaging, expecting that the more interaction and information they provide, the better the chances of holding on to these increasingly distracted and disloyal customers. But for many consumers, the rising volume of marketing messages isn’t empowering–it’s overwhelming. Rather than pulling customers into the fold, marketers are pushing them away with relentless and ill-conceived efforts to engage. This conclusion is based on multiple surveys of more than 7,000 consumers which were then compared to interviews with 200 marketing executives representing 125 brands. 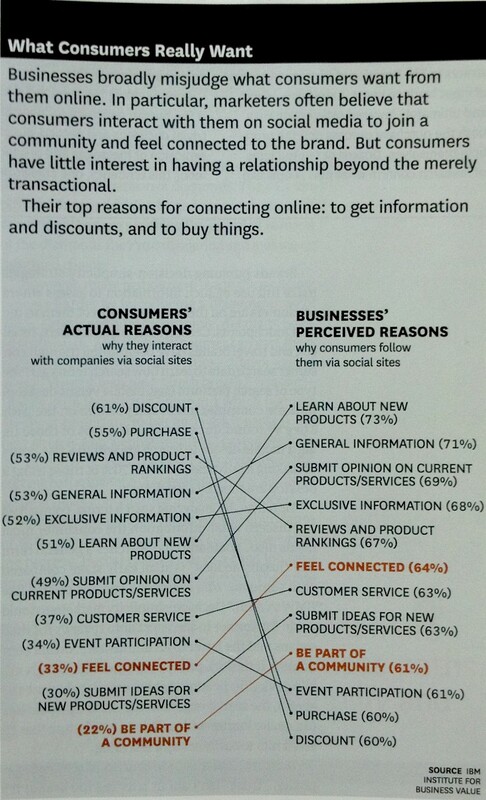 Their pointed out that what consumers what and what companies think consumers want didn’t correspond to each other, or in biz speak, it’s a “product/market misalignment“. Visitor researcher Conny Graft has demonstrated the same state of affairs at museums and historic sites when she pops up a slide showing a list of needs by school teachers compared to a list of the museum staff’s perceived needs of school teachers. The priorities are nearly opposite of each other. It’s not uncommon for museums to misjudge what visitors or members want. Spenner and Freeman state that the more the market and product are aligned, the more “sticky” it becomes. In our parlance, the greater the overlap between what a visitor wants and what the historic site offers, the more engaging and relevant the visitor experience becomes. According to their research, “the single biggest single driver of stickiness, by far, was decision simplicity–the ease with which consumers can gather trustworthy information about a product and confidently and efficiently weigh their purchase options.” Therefore attempts to provide more information about your site, more choices of activities and events, long lists of member benefits, and lengthy histories work against a visitor’s desire to gather information quickly, evaluate its reliability, and then weigh the alternatives to decide whether to visit or not. The article provides an example from Crest’s website, which details 35 types of toothpaste which can be sorted by such “benefits” as “flavor experience,” “fresh breath,” and “dentist-inspired.” As they state, “buying guides of this sort make the mistake of appearing to offer guidance while actually complicating the decision process.” This corresponds to visitor research at James Madison’s Montpelier, where Randi Korn discovered that visitors didn’t want a lot of options, such as an African American history tour, an audio tour of the landscape, and a cooking demonstration. They had a whole day of activities planned, including shopping on Main Street and a visit to a winery, and they only had a couple hours for Montpelier, so they wanted a solid introductory experience that included as much as possible in the time available. I recall having the same overwhelming experience at Colonial Williamsburg when I wanted to buy a ticket at the Visitor Center–far too many options that prompted me to pull out a calculator to make a decision. Is that really what we want visitors to do? That may be hard for curators and educators to hear, but save those additional experiences for special events or return visits. aiding navigation. I’m not sure why, but historic sites are notoriously bad at this. It’s typically hard to find them, signs are small and poorly maintained, the house’s front door is not the entrance, they typically tell me what not to do, I’m not sure where to park or know what to do when I arrive. Websites are often not much better: compare the Rosie the Riverter Trust with the Rosie the Riverter/World War II Home Front National Historical Park. building trust. Thelen and Rosensweig’s research showed that museums and historic sites have this in spades, so we’re doing great here (we just need to keep it that way!). making it easier to weigh options. And this varies site by site, but I do notice a tendency to provide far too much information, an instinctual habit to tell you about all the great things about the history of a site, family, or event, and became fodder for Pee Wee Herman’s Great Adventure (“there are a thousand uses for corn, and let me tell you about every one of them…”). 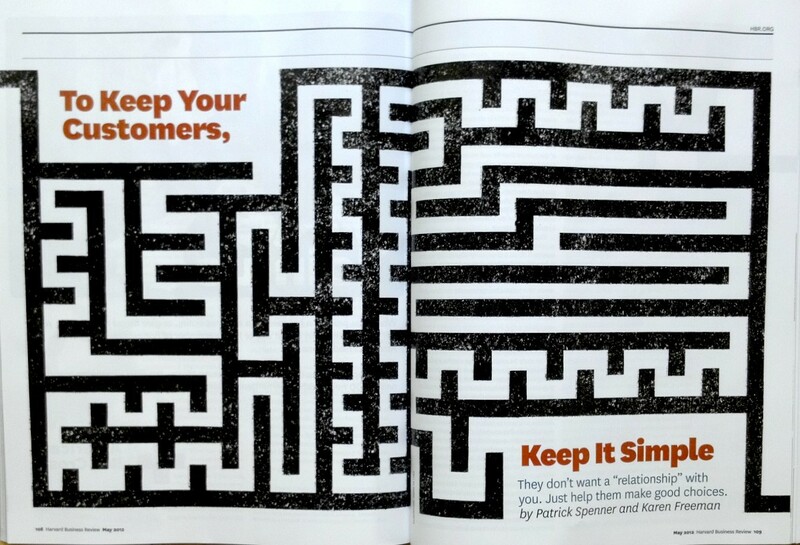 If you’re looking to make your visitor experience more “sticky,” you’ll find “To Keep Your Customers, Keep it Simple” very helpful for evaluating the promotion of your site but if you’re looking at making your interpretation more engaging, Made to Stick by Chip Heath and Dan Heath offers a useful outside perspective. BTW: The images in this article were created using my Droid 3 smartphone using an application called Handy Scanner. Taking a photo with a smartphone is no big deal, but Handy Scanner allows me to photograph multiple pages, crop and enhance them, convert them to pdfs or jpgs, and then send via email or upload to my Dropbox. It’s much faster and easier than warming up my flatbed scanner–and it’s free! I’ve been using it to copy and send excerpts from books or signed documents (goodbye fax machine!). This entry was posted in Books and articles, Community engagement, Membership and tagged Colonial Williamsburg, Conny Graft, Handy Scanner, Harvard Business Review, James Madison's Montpelier, Karen Freeman, Patrick Spenner, Randi Korn, Rosie the Riveter National Historical Park on April 25, 2012 by Max van Balgooy. Excellent and provocative article, Max! I have passed it along to folks who do marketing for historic sites/places. Your synthesis of the HBR article and your insight force us all to reconsider what often happens in our desire to reach as many people as possible. Throwing everything but the kitchen sink out to visitors as “helpful” options is, just as you say, overwhelming and counterproductive. We all need to keep in mind how overwhelmed we feel ourselves with the constant barrage of marketing and sales pitches which clog virtually every aspect of our lives. Thanks for writing this! Thanks, Sandy! Early on, you always advocated for keeping to just a few, rather than more, themes in interpretation. That focused approach seems to be one that can be adopted in many ways in our work.